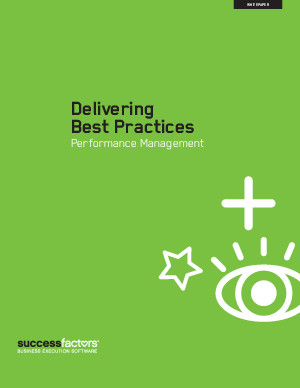 Deploying a performance management system is a powerful catalyst for increasing employee and organizational performance. If not handled properly, however, organizations risk creating unnecessary administrative work which can diminish some of the benefits. A key challenge is to balance the tension between creating a fair and consistent evaluation process across the organization and measuring employee performance based on individual needs.